This is another offering from Noble Vines. This chardonnay is crisp and clean with an oak or maple woody flavor on the front end that fades to the taste of light citrus such as such as lime and other tropical fruits. The aroma is one of almonds and pears. 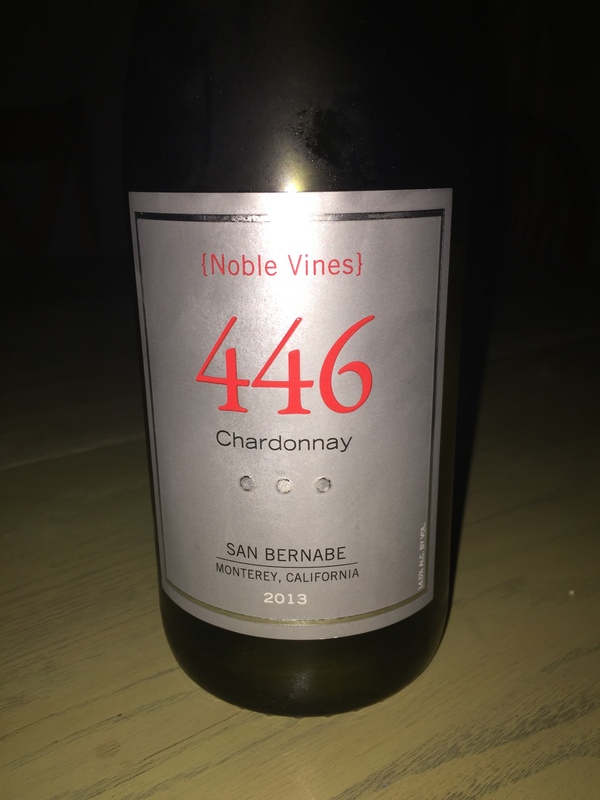 I found the 446 to be a bit acidic but still a very pleasant white wine Pair this wine roasted chicken or other fowl, soft cheeses and autumn salads. In past vintages the 446 was a single vineyard wine. That reference is missing from the 2013 on the label and on the Noble Vines Website. So, I am assuming that this is blended with grapes from a different vineyard for 2013. Of course the back label refers to this all being vine type 4 from block 46 (which is where the 446 number comes from) so my assumption may be wrong. At $10 to $12 dollars a bottle this is a very drinkable chardonnay.